U.S. Army Sgt. 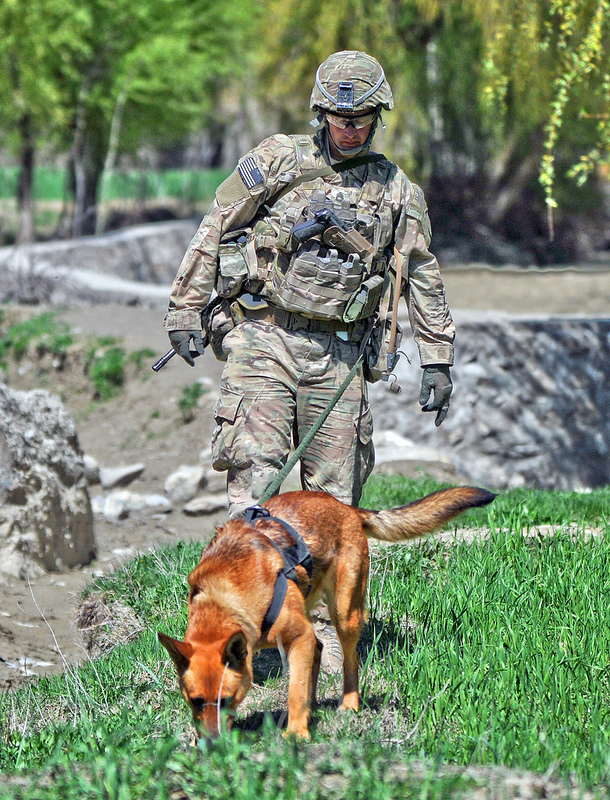 1st Class Anthony Heck, a native of Wasilla, Alaska, and dog handler attached to Chosen Company, and Nina 3, a military working dog, patrol in the Jani Khel district April 11 during Operation Marble Lion. Chosen Company is part of the 3rd Battalion (Airborne), 509th Infantry Regiment, Task Force Gold Geronimo.